Though the strengthening and energy saving benefits are often the factors that entice homeowners to choose James Hardie, it is the wide range of styles and colors that first catch their eye. DryTech installs the full range of colors, textures, and finishes offered by James Hardie, and will work with you to choose the best combination for your home. It is this attention to detail in all of our services that makes DryTech more than just roofers. We are full home improvement specialists. We live in a climate that is no stranger to heavy wind, rain, and snow, and many homeowners are stuck scraping and re-painting the exterior of their homes year after year. With James Hardie fiber cement and vinyl siding, your Maryland area home will maintain its bright, color for longer than any other siding material. James Hardie doesn’t just paint their siding, the use a special coating that is applied before installation to guarantee a more durable finish, one that is 30% more fade resistant and warranted for 15 years against cracking, chipping or peeling. Called ColorPlus Technology, this specially formulated coating is applied in multiple layers and adheres directly to the siding material. So unlike painted siding, the color will not chip or fade with exposure to extreme climate. The hardest decision you will make regarding your James Hardie siding will be the pattern and texture. James Hardie siding can be made to resemble wood or stucco, and is available in both planks and shingles. The DryTech design team will work with you to choose the best option for your home, match it with a color from the James Hardie color palette, and wrap your home in siding that matches your vision. 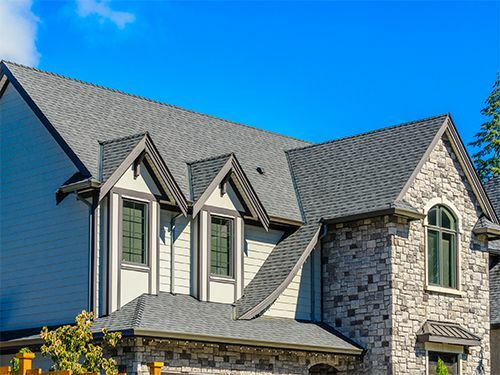 For full details on your James Hardie color and pattern choices, call DryTech Roofing or visit our Contact Us page to request a quote today. From there, we will work hard to EARN your business. Tired of repainting your home year after year? Are you paying more and more to heat and cool your home? DryTech Roofing is the roofing company in Maryland that homeowners also trust with their local siding needs. If you think it’s time to wrap your home in fiber cement siding, call us at (240) 491-5600 for a FREE in-home estimate on fiber cement or vinyl siding in Maryland.